This camp is perfect for the beginning to intermediate archer. 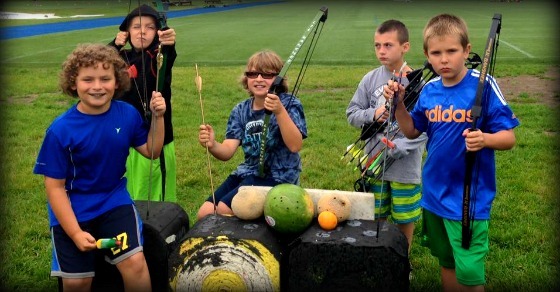 Campers spend the week learning the basics of archery including safety, terminology, and capabilities of the bow. Archers will learn proper stance, breathing, target shooting techniques, and target scoring as the week progresses. The week will culminate with a 3D-target shoot on Oakland Yard’s Archery Range. Left-handed archers should mention this fact on the camp application.